There may be a solution in the middle—“Glamping’. This is a fast growing business in the United States and worldwide. 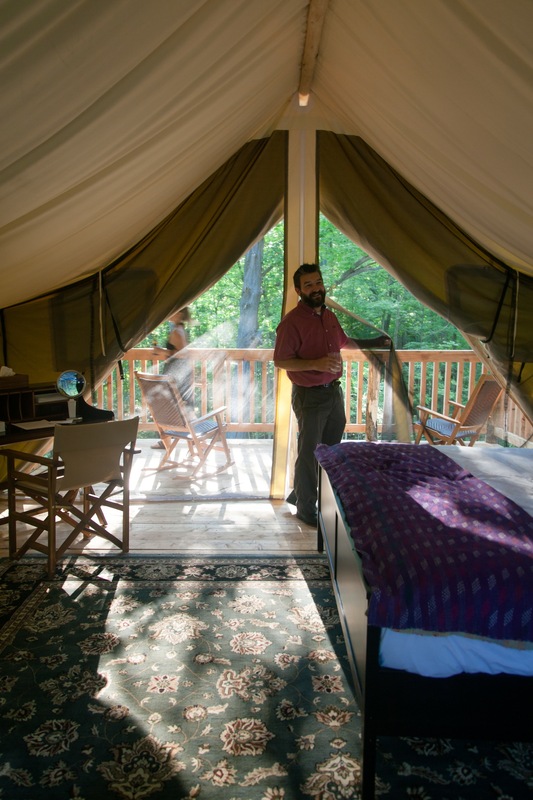 When you’re glamping, there’s no tent to pitch, no sleeping bag to unroll, no fire to build. 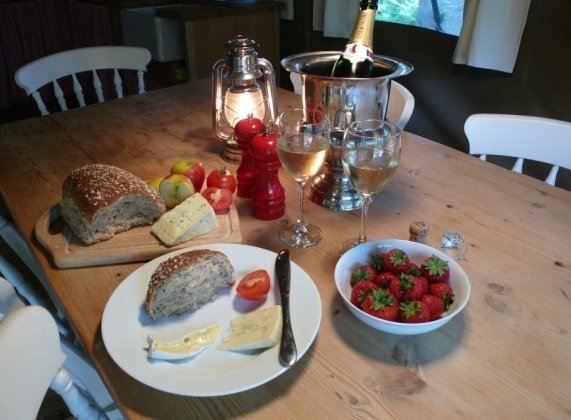 Facilities vary greatly and may be established in a tent, yurt, airstream, hut, villa or treehouse. Glamping is similar to facilities in African safari country. Two foodies, Emma and Bob Frisch, who used to own a restaurant in Nicaragua, established a Firelight Glamp in Ithaca, NY. Network star. Bob is a veteran of the Peace Corps and is now a consultant to the US National Parks. The menu, the Frisch provide is made up of local wines and fresh produce. The couple hopes establish additional glamps on local properties such as farms and vineyards to help to sustain small farmers and vintners. Nightly rates start at $155 for the Firelight Camp in Ithaca. Jackson Hole, Wyoming, is the site of another glamp. The site provides king size bed, luxury linens, concierge and cleaning services. It has a Glamping Bathhouse, which has private, luxury washrooms – including rain showers, heated floors and organic spa products. Butlers are a phone call away. While you are out communing with nature, professional service staff cleans your tent in preparation for your return. Rates start at $375 and if you like it, you can buy a glamp and attach it to your car and put it in your own backyard. There is also a Restaurants and Bar, The Gunya, is onsite and serves a range of food from local to international cuisine. After you are out mountain biking, hiking or canoeing, when you return, you may opt for a professional massage. About $126 per night but often sold out. The glamp at Two Lakes in Dorset, UK is closer to traditional camping than those mentioned above. Set in the heart of rural Somerset, it offers a range of wildlife including otters, badgers, rabbits, deer and 70 species of birdlife. It provides two miles of nature trails. The secluded lakes cover approximately 4 acres and are well stocked with a selection of fish including large carp, (up to 25lbs). There is also a golf course not far away. Bell tents are provided with double bed and sofa bed which can sleep up to four and bed linen. Also available are cutlery, electricity and lighting, cooler / fridge, gas stove, fire pit or barbecue. Bell Tent prices from per night range from $152 up.